Launched in 2009, Energy Procedia is focused on publishing high-quality Open Access conference proceedings across the energy field. Energy Procedia enables the fast dissemination of conference papers in dedicated online proceedings volumes made available on ScienceDirect, accessible to millions of researchers worldwide. The proceedings series is indexed in Scopus, the largest abstract and citation database of peer-reviewed literature. Energy Procedia provides the energy research community with a fast and flexible route to the publication of research presented at leading scientific conferences spanning the field of energy science, technology and engineering. 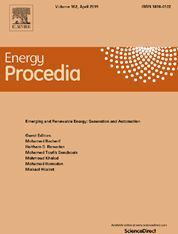 Conference proceedings are only accepted for publication in Energy Procedia after a full assessment from the editorial team. All papers must be original, and peer-review is mandatory.